Business and personal solutions involving the use of Artificial Intelligence (AI) are emerging across nearly all industry sectors. But what does this mean for recruitment? As it turns out, a huge amount, and whether you are a hiring manager, a recruiter or simply a happily employed worker it’s likely to directly affect your life in one way or another over the next few years. “Artificial Intelligence is the broader concept of machines being able to carry out tasks in a way that we would consider “smart”. The most exciting new developments are focused on machine learning. That is, software designed to read and interpret past data (and the decisions made around it) and to use that knowledge to make or shape decisions for the future. A simple example can be found in your own inbox. If you frequently mark emails of a certain type or from a certain sender as spam, the system will learn this behaviour and begin to do it automatically. Machine Learning can lead to software making predictions based on correlated data. For example, forecasted bad weather may cause a spike in sales of winter coats, which is particularly useful if you are a clothing retailer. Machine learning can also provide entirely new ways of doing things such as automatically generating personality profiles based on an individual’s social media posts (as opposed to relying on questionnaire results). Finally, machine learning can share big data, where thousands (or millions) of inputs help to create accurate predictions by responding to different stimuli. This is how Google’s algorthims can now predict what you are trying to write when you have only just started typing a sentence. There is a huge amount to consider, when investigating the potential of AI in recruitment (for example video interview platforms that can automatically assess voice quality, energy levels, body language as well as the answers given to tricky questions) but, we want to focus on what is currently available, and already being used by recruiters. AI is increasingly used in the sourcing of applicants, with the development of software that scans the internet for online profiles. These tools read and interpret the profile information to identify matches against a predefined job description. As well as software reviewing ‘active’ information such as job boards, the latest developments in AI can now look at ‘passive’ information such as Linkedin pages, facebook and twitter feeds, about.me profiles, blogs, personal websites and so on, to build a comprehensive profile of a candidate who may well not be looking for a new role. One such AI tool is Arya. Ayra can be used to scan social profiles and sites to find possible candidates for job roles. As well as identifying the candidate, Arya has built-in functionality to source their contact info, and provides an accessible breakdown of their skills and experience. Software that identifies passive candidates (people who are likely to move but not actively seeking new employment) and estimates how attractive they might find the new company can actively learn from human feedback. For example, if the system matches someone who is not a suitable match, it will ask for an explanation to avoid doing the same thing again. This can be incredibly useful for recruiters trying to find highly specialised or difficult to source candidates. Once a selection of candidates have been sourced, one of the most time-consuming tasks can be to screen them all. Not only is this a laborious and administrative heavy task but when you have a large number of CV’s to get through human error or bias often means that strong candidates are missed. Software can use machine learning to scan through CV’s and match specific skills and experience to the job description by pulling out keywords, dates, job titles and time in roles. Once candidates have been shortlisted, automated assistants or chatbots (like Recruitment Bot) can be used to carry out the initial stages of interview screening, by gathering key information such as an applicants right to work in certain areas, clarifying key skills, or even just checking their availability for an interview. As far as this technology goes, many large recruiters are already using some version of chatbots, and both employers and job seekers alike seem to find it effective, with responses that sound human and the ability to recognise the answers needed. Various AI functionality has also been created to help recruiters engage talent. 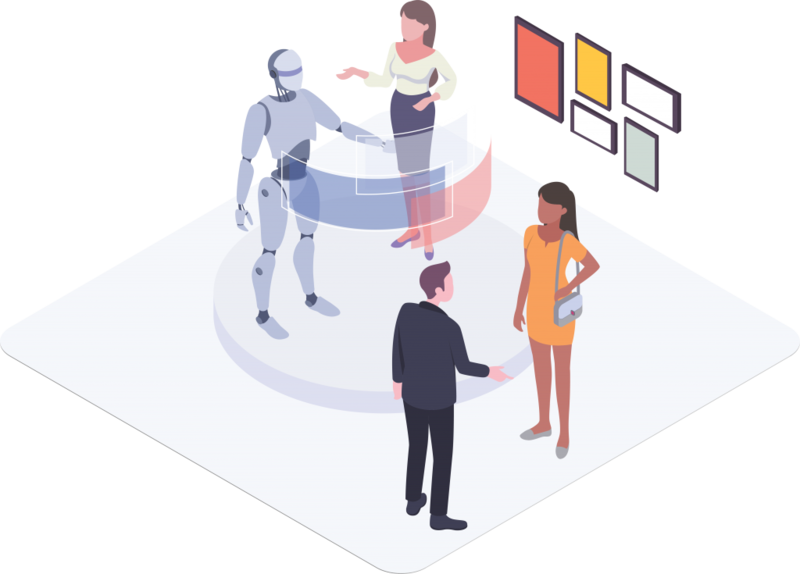 So, once AI has highlighted the right candidates and assessed their likelihood to engage with an opportunity, AI systems can also handle the initial contact. This intial approcah can be combined with answering simple questions the candidate might have and keeping candidates engaged with a role anytime of day. AI systems will often be able to synchronise across multiple systems, such as email, chatbots on your website and even facebook messenger. The AI will be constantly finding the best ways to communicate with your clients. Want to know what your potential applicants will make of AI tools? Check out this great article on the candidate’s perspective. Like with any new technology, there are risks that come with AI solutions. The first thing to note is that with a lot of this new technology, there’s a good chance that it may not work exactly as you imagined it. The very concept of machine learning means that it adapts its behaviours based on what it learns from the data provided, so one thing to be aware of (especially with chatbot services) is that the users will influence the behaviour of the technology. I’m sure many of you will have heard of “Tay” the AI Twitter bot created by Microsoft in 2016. Soon after it’s release, interactions with other Twitter users caused the bot to start producing racist and sexually charged tweets, leading to it being suspended. Although ‘Tay’ was just an experiment, it also provides a valuable lesson in the potential pitfalls of machine learning bots and the importance of monitoring the information that is fed to them. Although many people may see AI technology as a fantastic way to save time, in the early stages this may not be the case. With the technology in its early days, you may find that you spend as much time monitoring and maintaining the software as you save with the job. Even when the software is running as intended, it is fairly clear that we are not yet at a stage where AI can fully replace human recruiters. So while you may save time for the recruiters and hopefully improve their efficiency with these tools, it will still be important to value the significance of a human touch point. Whether or not you choose to implement AI software into your current recruitment process should depend on what level your recruitment is at currently. 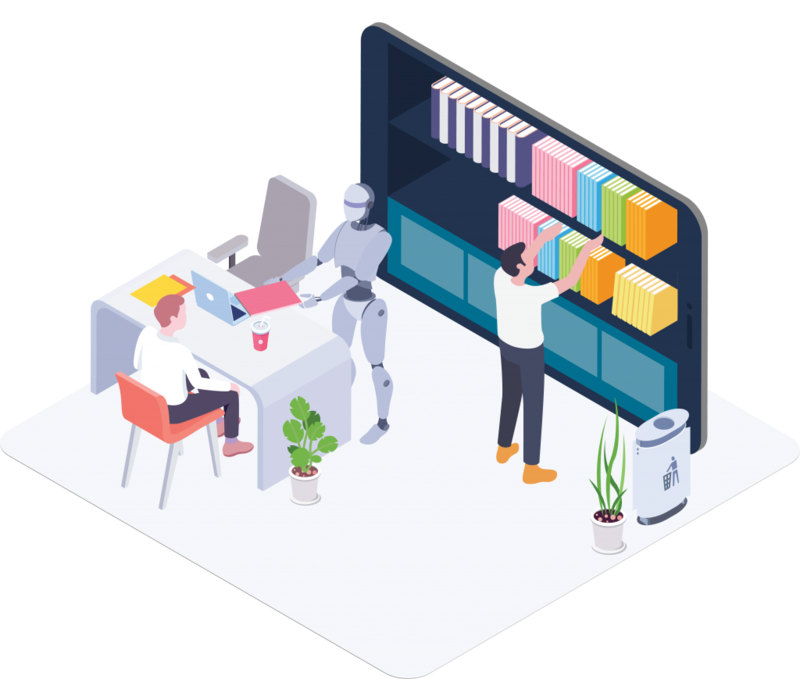 If you already have a large in-house recruitment team (or are a recruitment agency) and you’re looking for software that can help you automate certain process and improve your efficiency, there are some great solutions that involve machine learning that can benefit you. If your recruitment team is made up of only one or two people, there may still be some solutions you could introduce slowly, but it’s important to make sure that you’re not creating more work for your team. For a recruitment team of this size, you may also find a lot of the new software to be outside of your teams budget. If you currently outsource your recruitment and were hoping AI might be a solution to bring it back in-house, the reality is that the tools are not at this stage yet, and even as they develop they will require a lot of attention and maintenance. Overall, there are a variety of different tools that you may find useful but it is also incredibly important to make sure this software is monitored, as the effect of ‘bad learning’ could have wide spreading consequences (here’s another example regarding Amazons recruiting tool). For most teams, it’s probably still best left to established recruiting companies to use the software to help find the best people for your team, as they will be able to pair the software with the experience to make sure you get the best candidate, every time.